Home » Commodities & Gold » Palladium Price Explodes To Another All-Time High: Exit or Entry Point? Our palladium price forecast 2019 published 3 months was truly spot-on. At $1100 we forecasted $1350 as a major top. That’s exactly how it played out. This week palladium’s price exploded to hit another all-time high. Is this an entry point or exit point? This palladium (PALLADIUM) price explosion was something we saw coming, and forecasted it many months ago at InvestingHaven in the public domain. InvestingHaven’s research team is on record with a palladium price forecast for 2019 of $1375 which likely will be a medium to long term top. It certainly is a profit taking price level if and once it gets there. Our thesis is invalidated if the $1125 does not get broken to the upside, or if a breakout appears to fail. We would say that the $1300 to $1350 area makes for an exit point assuming it will be when palladium’s price touches resistance of its rising channel. The most likely path after this is that palladium will backtest the breakout point at $1075. This will be the most important event on the palladium chart in 2019. A successful backtest of $1075 in 2019 would make this precious metal much more precious than it already is! 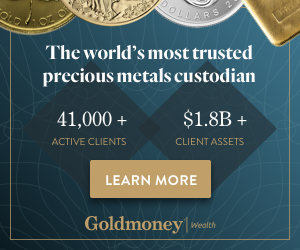 “We are seeing steady buying in modest amounts; just no supply and no one willing to sell because you don’t know where it will stop,” said Tai Wong, head of base and precious metals derivatives trading at BMO. So what to do now? Is this latest rally a blow-off top, or does it suggest the start of a bull market? Palladium Price Explodes: Exit or Entry Point? This is a perfect illustration of this insight. The news talks about fundamentals and supply shortage, which would intuitively lead you to conclude that higher prices are coming. But this supply shortage did exist 3 years ago, when palladium’s price was crashing to $450. Second, the chart and dominant trend on the monthly timeframe will provide the guidance we need. The chart is clear. After palladium’s price went up 3-fold in 3 years time it is now testing a major resistance point. This is not the point to get in, but take profits (for those investors that were already in the market). Least likely: palladium’s price explosion continues, in which case it will move to the higher band. This would result in a major bull market, and likely a bubble. Most likely: palladium’s price comes back down to test the breakout point around $1100. If this holds it might be a great entry point. Not likely: palladium’s price explosion was the blow-off top, and now will fall back to $750, the bottom of the channel. We annotated the price chart of palladium with the times it has rallied in the past. We see, in general, that rallies can be very violent. We would not exclude scenario 1, and if it would occur it would bring palladium’s price to $2000 in 2019. Very bullish, not very likely, but we should also not exclude it!